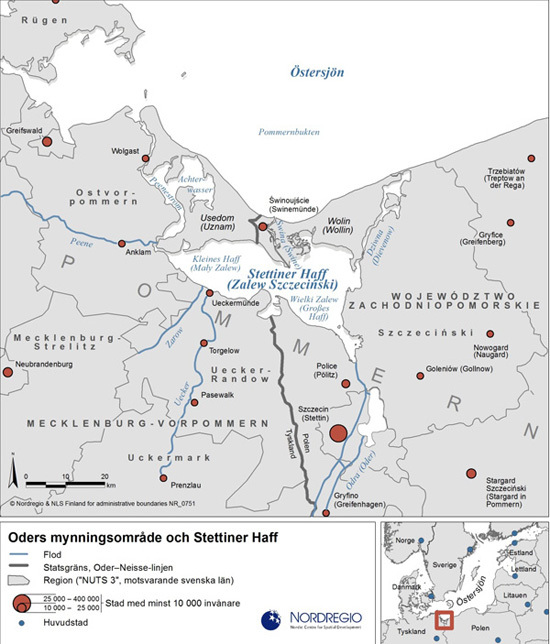 Nordregio’s Stefanie Lange Scherbenske and Linus Rispling have written an article about the Oder estuary region in Northern Germany and Poland for the 2015 edition of Ymer – a journal published by the Swedish Society for Anthropology and Geography since 1881. The theme of this year’s journal is areas that have previously been part of Sweden’s in order to highlight that in 2015 200 years has passed since Sweden left its last outer dependency in Europe. The starting point of the article is the particular physical geography of the Stettiner Haff, an inland lagoon located right on the Polish-German border, connecting the Oder River with the Baltic Sea. In the 17th and 18th centuries, the surroundings were part of the Swedish Kingdom. The article looks into the region’s historical past and its ethnic and political geography, with moving boundaries through the centuries. Finally, the article looks at the region´s challenges and opportunities today: increasing coastal tourism, coastal erosion and possible impacts of climate change as well as cross-border co-operation in order to address these.